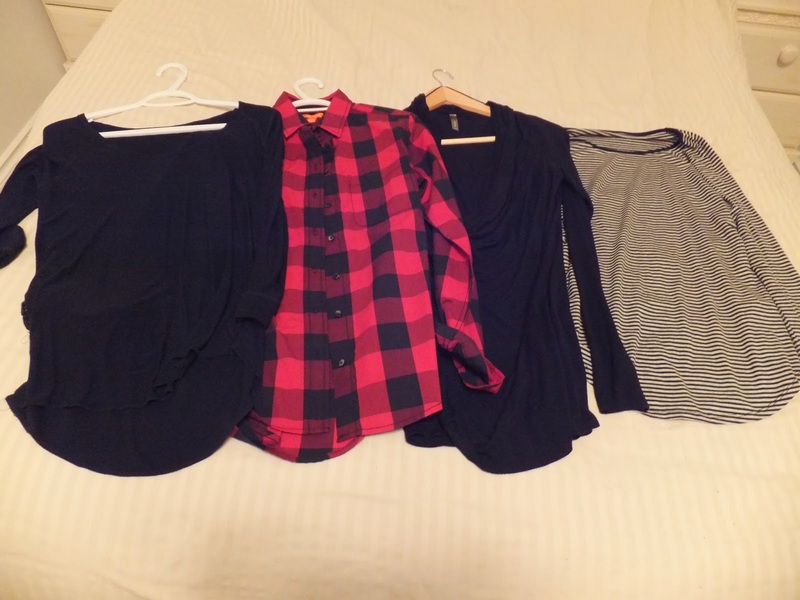 Peaceful Simple Life: Winter Capsule Wardrobe Reveal! 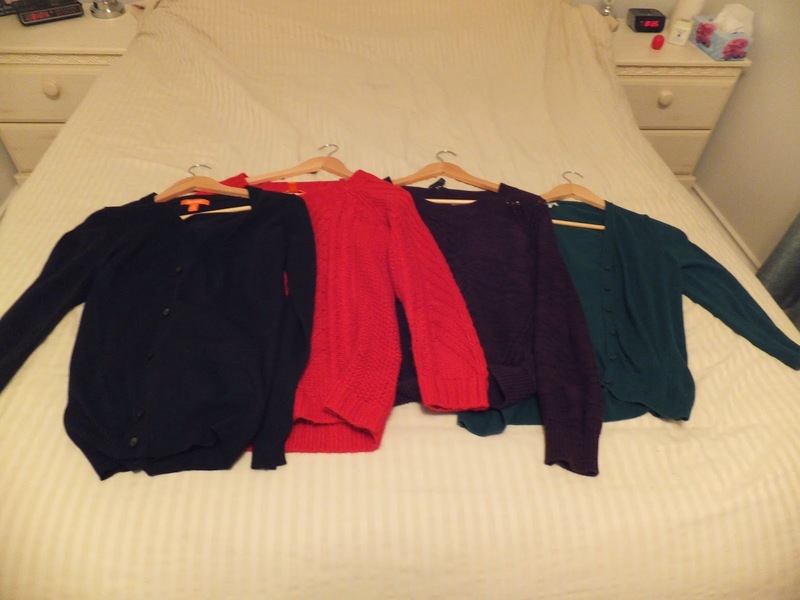 My closet now consists of only the pieces in my capsule wardrobe! It feels so empty, but in a good way! I open my closet and I no longer have to dig through the crammed clothes to find what I want! I feel light and free! Isn't that what minimalism is really about? Freedom from things? I truly think that we underestimate how things can weigh us down. 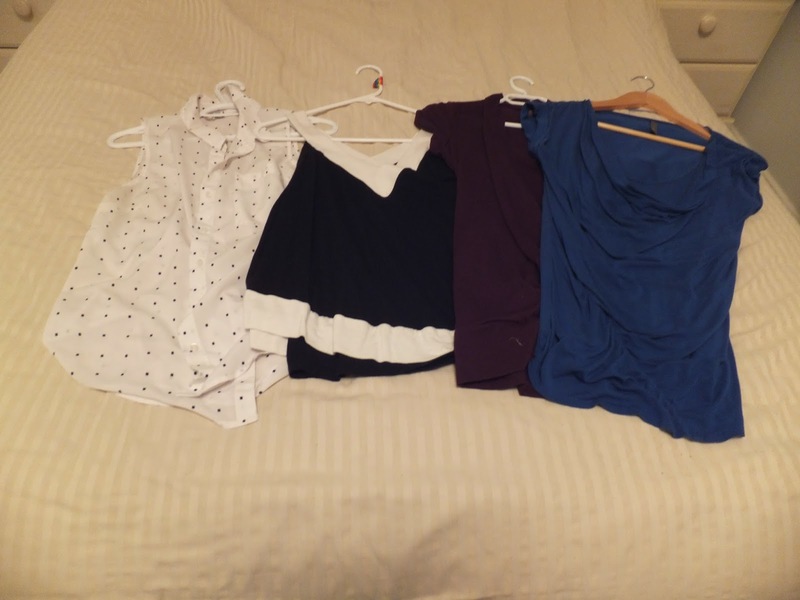 My closet has 28 "curated" pieces that I feel I can build good, functional outfits out of! I am going to share the clothing pieces with you, now. I will not be showing my footwear, as I am still waiting for a pair of boots to arrive (joys of living in a rural area!). I also will not be showing my coats in this post. I will share those with my footwear. I have tried to include the "brand" of the item and where I bought it. A few of these items are "old stand-by" items so there is no guarantee that they are still available. I don't spend a lot of money on my clothes, usually. Most of the items are in the $30-$40 range, which I find to be affordable. I will show you my pants and skirts first. 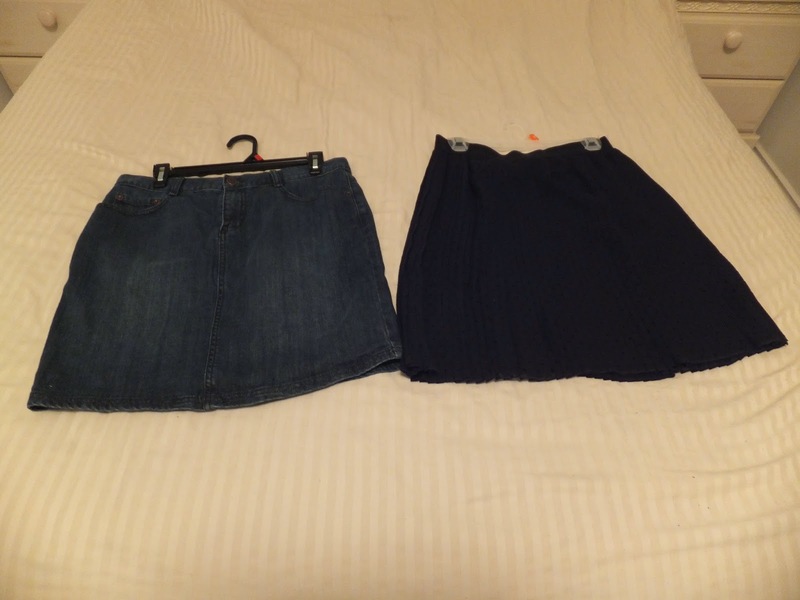 I have 5 pairs of pants and 2 skirts in my wardrobe, for a total of 7 "bottoms". 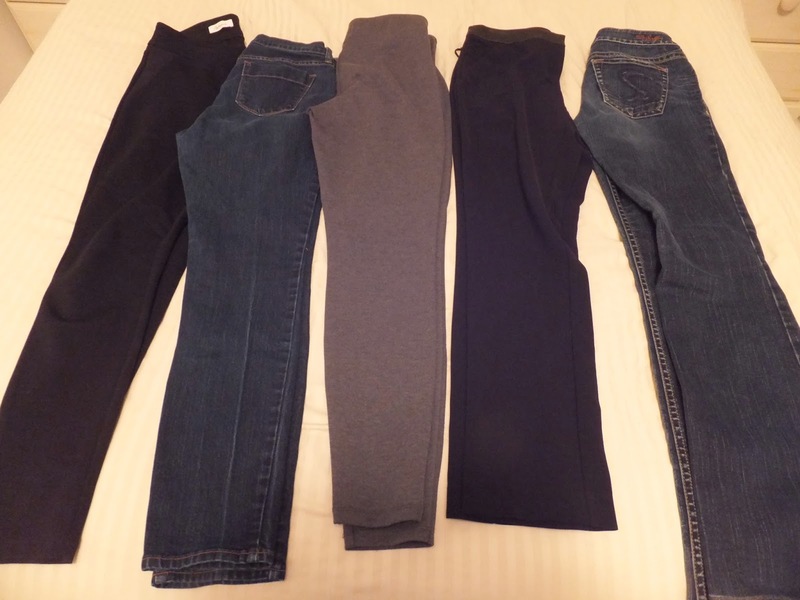 -Reitmans black legging in petite length. -Reitmans black straight leg dress pant in petite length. I included 15 tops in my wardrobe. This was the hardest one for me to pare down. I tried to create a cohesive colour palette, with some variation for fun. Here are the "tops"
-Oatmeal wool cape from Moose Creek Hat Co. I think I have some great pieces to work with. As you can tell, I love to shop at Joe Fresh and Reitmans. I think that I get decent clothing and good prices. Reitmans has some fabulous sales and I rarely pay full price for anything. 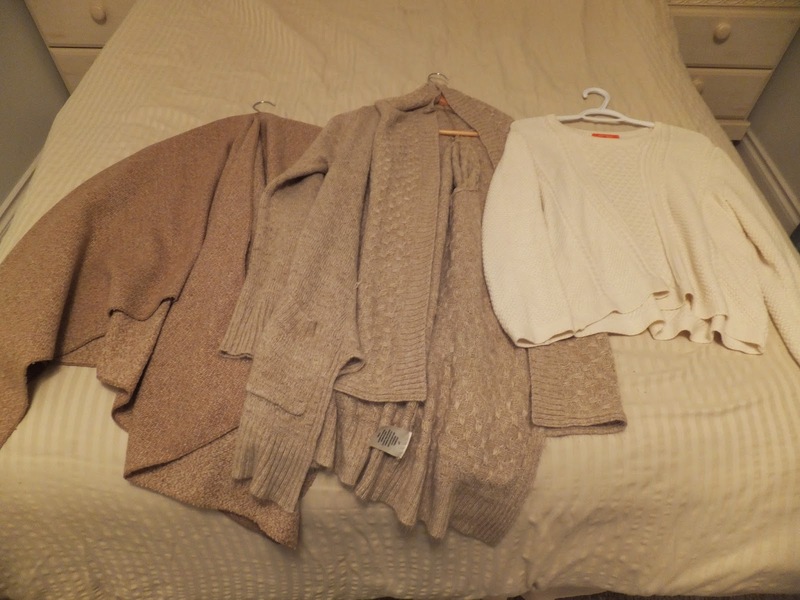 My colour palette is mostly neutral with the odd pop of colour in my tops. I am excited to start creating outfits from my pieces and sharing them with you. I will share my outerwear next week, along with my first wardrobe "outfit". I hope you are all having a great week!